Driving Instructors. Driving Lessons. Driving Tests. Start Driving School Melbourne offers professional driving lessons, driving tests and driver training through qualified and accredited driving instructors in melbourne. Start Driving School Melbourne specialises in assisting individuals of all ages with the development of their driving skills by providing them with Professional Driving Lessons in Melbourne. Start Driving School Melbourne aims to guide, teach and mentor some of the newest, safest and most confident drivers on our beautiful Victorian Roads. Start Driving School Melbourne provides professional Driving Lessons in Melbourne to all Learner Drivers, assisting them from start to finish in obtaining their Probationary Victorian Drivers Licence and beginning their journey to success. Start Driving School Melbourne provides professional Driving Lessons in Melbourne to individuals of all ages seeking driving lessons whether it be for a refresher, an assessment on their current driving abilities or whether it is for a changeover from auto to manual. Start Driving School Melbourne provides professional Driving Lessons in Melbourne to our elderly Victorian drivers whether it be a refresher or update lesson, assistance with modern changed traffic rules and conditions or an assessment on their current driving abilities. Start Driving School Melbourne provides professional Driving Lessons in Melbourne to people who have overseas licences by teaching them the Victorian road rules, laws and regulations and helping them get a changeover Victorian drivers licence. Start Driving school melbourne benefits. Why Start Driving School Melbourne is the one to choose for Professional Driving Lessons in Melbourne. Start Driving School Melbourne Driving Instructors are professional, friendly and have extensive knowledge of Victorian Road Rules, Laws and Regulations. Start Driving School Melbourne aims to provide expert knowledge and practice whilst educating our students in both a positive and professional manner. You can count on Start Driving School Melbourne Driving Instructors to provide you with the utmost highest quality of care, service and attention tailored to each and every individuals different needs and requirements. Start Driving School Melbourne Driving Instructors conduct Driving Lessons in late model cars with the latest safety features and with professionally fitted dual controls. Start Driving School Melbourne Driving Instructors can assess students carefully depending on their driving skills to take them into different areas and scenarios so that they are safe and comfortable whilst learning to drive. Safety comes first no matter what at Start Driving School Melbourne for both the student and Driving Instructor. Start Driving School Melbourne Driving Instructors will make sure to be highly efficient in regards to getting an individual to where they need to be. Every student is different and they may sit at different ends of the spectrum where one student may need multiple lessons and one may not need so many. Start Driving School Melbourne Instructors will be able to assess students and recommend to them the amount of lessons or driving hours they need and should complete to become safe and confident drivers. Start Driving School Melbourne offers lessons that are priced realistically to suit all individuals needs and requirements. Start Driving School Melbourne offers single 45, 60 and 90 minutes lessons as well as great packages that have substantial savings. Such as 5 x 45, 60 and 90 minute lessons and 10 x 45, 60 and 90 minute lessons. Start Driving School Melbourne also offers specials which can dramatically have an impact upon how much you can save such as purchasing online, sending feedback and sending in your testimonial. Start Driving School Melbourne Driving Instructors are from all walks of life. Our Driving Instructors speak a multiple range of different languages which can assist those of whom who speak English as a second language. This allows us to break the language barrier so that students are still able to obtain their drivers licence and drive in Melbourne. The diversity of Driving Instructors at Start Driving School is important as it gives us a chance to learn and respect each others cultural differences, morals and values. We think that makes us extra special at Start Driving School. Start Driving School Melbourne Driving Instructors are all fully insured and covered with their own Public Liability Insurance Policies, Full Comprehensive Car Insurance and some have roadside assistance also. At Start Driving School Melbourne we understand the importance of being covered which makes certain tasks a whole lot less stressful for both students and Driving Instructors just in case there is a time where things don't necessarily go as planned. All of our Start Driving School Melbourne Driving Instructors are fully covered just in case there's a rainy day! Start Driving School Melbourne Driving Instructors are all fully qualified, background and reference checked by the Victorian Government regulator of the taxi and hire car industry organisation Taxi Services Commission also known as the TSC. All of our Start Driving School Melbourne Driving Instructors have completed Certificate IV in Transport and Logistics (Road Transport – Car Driving Instruction), have been police checked, have current working with children checks and have passed a medical examination to assess their fitness to become Driving Instructors. 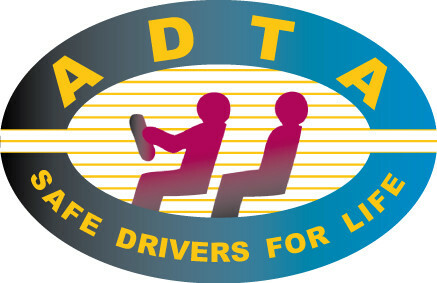 Start Driving School Melbourne Driving Instructors strictly follow the Australian Driver Trainers Association Victorias Code of Conduct. Start Driving School Melbourne Driving Instructors will provide a suitable safe car for students to learn in, maintain high personal standards of hygiene and grooming, display excellent driving behaviour at all times, behave with the utmost integrity, always exceed the minimum teaching standard, follow professional business practices, comply with relevant legal requirements and support professional industry practices. Start Driving School Melbourne Links. A series of links to Start Driving School Melbourne's various helpful and informative web pages. An insight into how Start Driving School Melbourne started, operates and what Start Driving School Melbourne strives to achieve through our professional Start Driving School Melbourne Driving Instructors. A list of the suburbs and areas covered by our Start Driving School Melbourne Driving Instructors. Start Driving School Melbourne Driving Instructors cover most VicRoads Drive Testing Centres within Melbourne. A series of testimonials from previous Start Driving School Melbourne students, drivers and Start Driving School Melbourne Driving Instructors about how they begun their journey to success. Some of the most frequently asked questions to Start Driving School Melbourne about getting your licence in Melbourne, Victoria and how Start Driving School Driving Instructors can help. Start Driving School Melbourne absolutely loves feedback from anyone whether it be positive or negative we will always take it as constructive criticism so we can always keep improving. Start Driving School Melbourne provides Gift Vouchers on all of our professional services. A great gift to give or receive from a friend, family or loved one for any occasion at any time of the year. Purchase and pay for Driving Lessons or Driving Tests through our Start Driving School Melbourne website and you won't have to worry about payment later. You can focus primarily on learning how to drive. Refer your friends, family or loved ones directly to Start Driving School Melbourne for Professional Driving Lessons in Melbourne. Start Driving School Melbourne provides a number of different practice tests and quizzes for individuals to help them in understanding Victorian Road Law, Rules and Regulations. A series of links provided by Start Driving School Melbourne for further reading, research and understanding in regards to becoming a driver in Melbourne for all students, parents and all Victorian Drivers. A collection of different educational videos accumulated by Start Driving School Melbourne from around the web to help students, parents and Victorian Drivers who prefer a visual learning style. A collection of links directly from the VicRoads website covering all Victorian Road Rules starting from A - Z, great source of information for students, parents and Victorian Drivers.